A car was stolen from the Bunjil Place carpark in broad daylight on Monday. Car owner, Levi Sanders was working at Bunjil Place between 1pm and 5pm. At 5pm, he went to the carpark and saw the empty space and broken glass. “I was shocked. I’d purchased the white Nissan Pulsar from my Nan in Tasmania over 10 years ago, and never had a problem with it,” Mr Sanders said. “The timing of the theft was also difficult, as I had to work remotely with my clients from Mornington this week. Mr Sanders immediately went back to into Bunjil Place to see if there was any CCTV available, but was informed that the carpark wasn’t covered. The vehicle was reported stolen to the Narre Warren Police Station. Overnight the car was spotted in several locations across Cranbourne, but by the time the police got there the car had moved on. 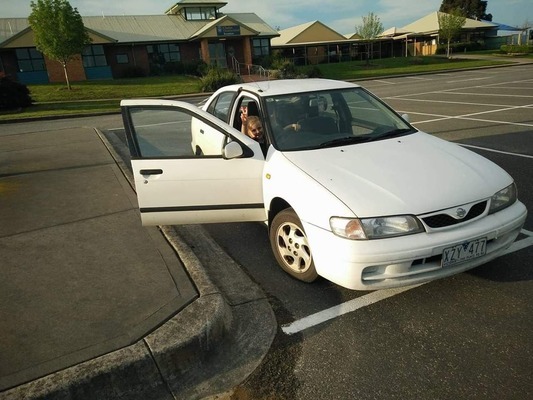 If you have seen the car, please contact Narre Warren Police Station, or Levi Sanders on 0419 120 294.